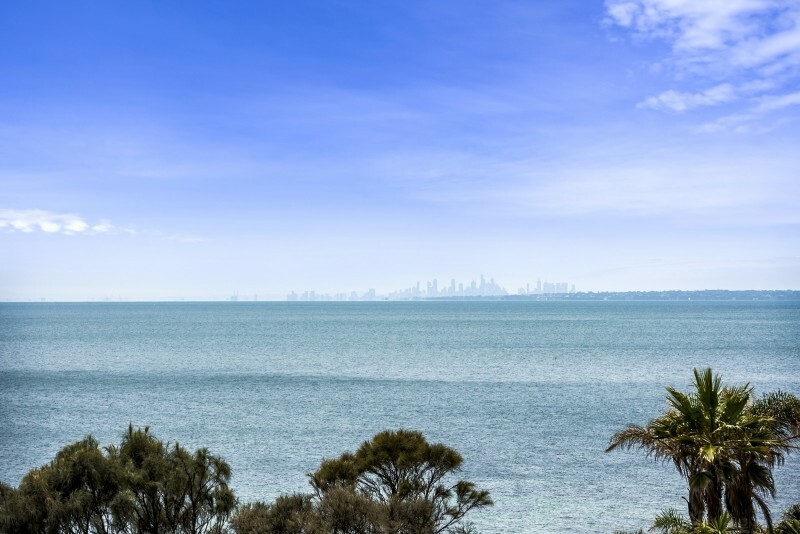 Savour a rare opportunity to acquire this architect designed recently completed absolute cliff-top property of 4 double bedrooms and sumptuous living spaces over three levels; combining mesmerising close-up views of Moondah beach, the sparkling big blue & impressive backdrop of the Melbourne skyline in the distance. 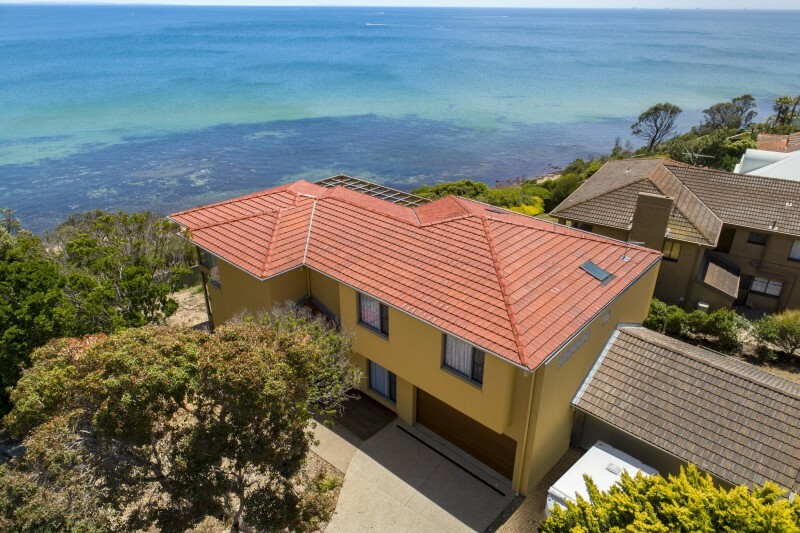 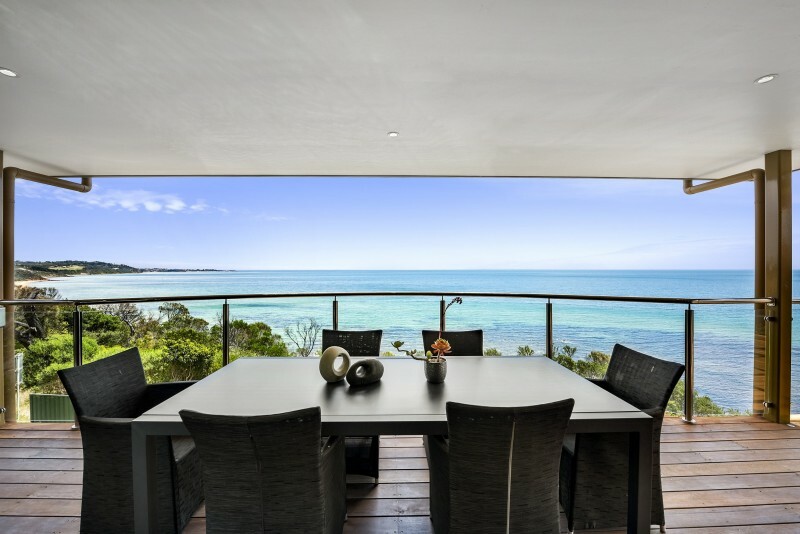 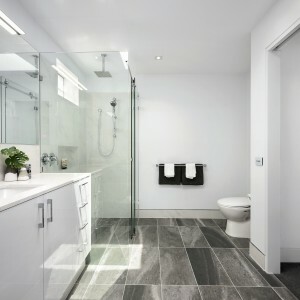 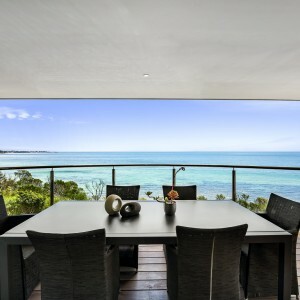 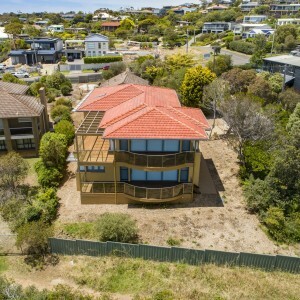 A unique property with foreshore frontage that oozes quality and has features everywhere. 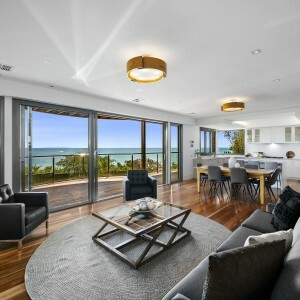 This special house is beautifully introduced via a wide sealed drive leading the way to a double auto garage with internal access next to the entrance portico inviting you inside to realise a light fluid interior anchored by rich spotted-gum wooden floorboards and generous lofty feature ceilings throughout to great effect. 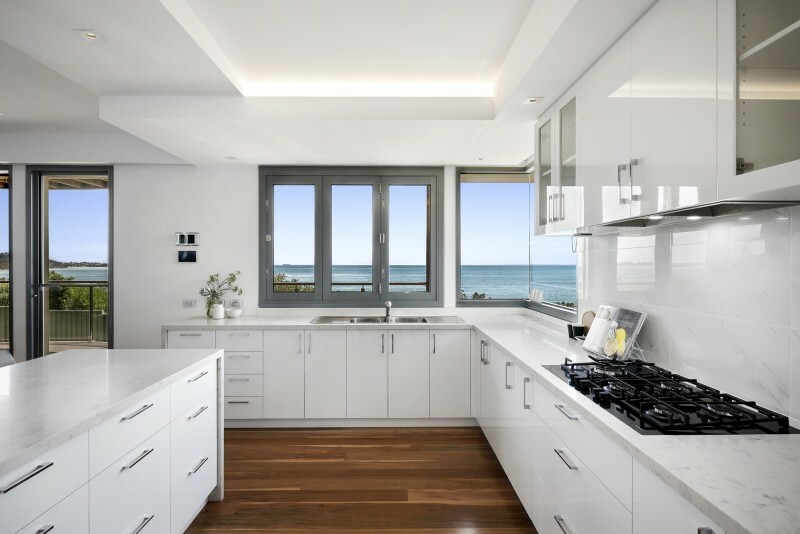 The hub of the home is dedicated to an open plan Athena stone-topped gourmet kitchen / meals area fitted with a suite of quality appliances such as Blanco gas hob, Bosch electric and steam ovens seamlessly integrated into bespoke cabinetry, island breakfast bar and walk-in pantry with plenty of storage solutions. 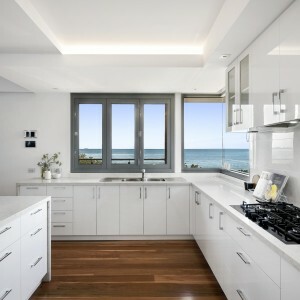 This central domain also incorporates a substantial dining come living area designed around a wide Infinity gas fire place, soothing aquarium display, imposing sheer wall of oversized floor to ceiling windows and sliders harnessing an abundance of natural light courtesy of the ideal north-westerly aspect matched by the unforgettable panorama of the beach below, its reefs, turquoise waters with Mornington Harbour and immense vastness of the bay from almost every angle. 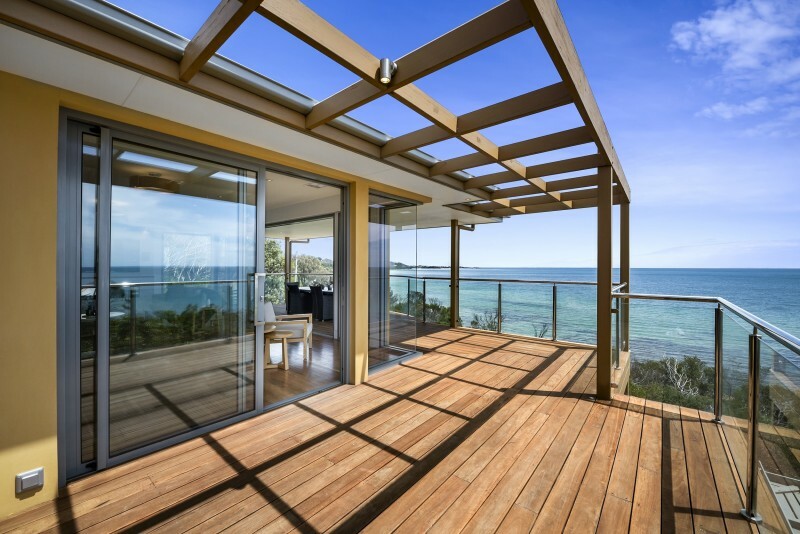 For outside living embrace convenient instant admission to a large adjacent undercover alfresco deck with servery window perfect for requisite soirées year round, again with Port Philip Bay as a magnificent backdrop. 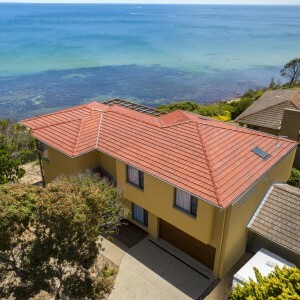 The main accomodation wing is situated on the first floor with three stylish fitted bedrooms includes study serviced by a luxuriant fully tiled family bathroom with stone vanity, large shower zone, deep soaking bath and separate WC. 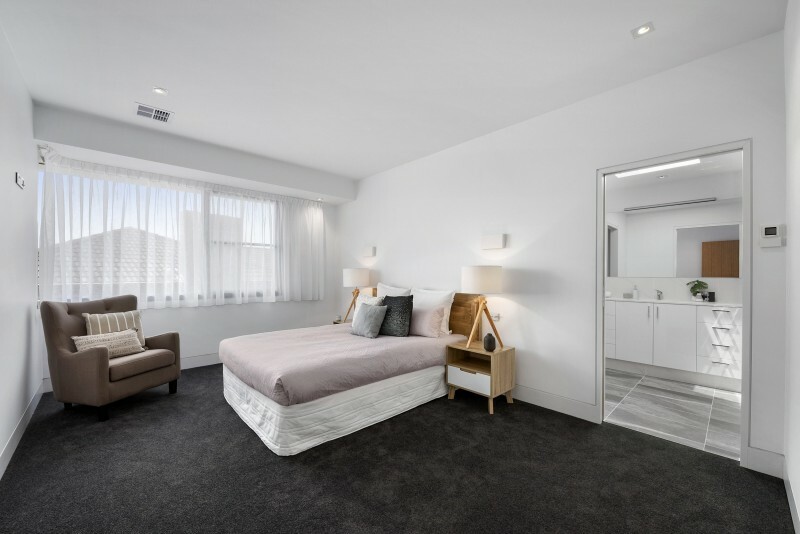 The bright private master suite is blessed with retreat space, plush carpet to a lavish walk-in wardrobe and equally decadent en-suite illuminated by a skylight for the fortunate inhabitants of this sanctuary-like part of the home. 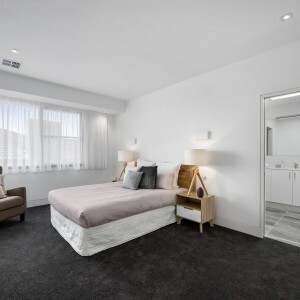 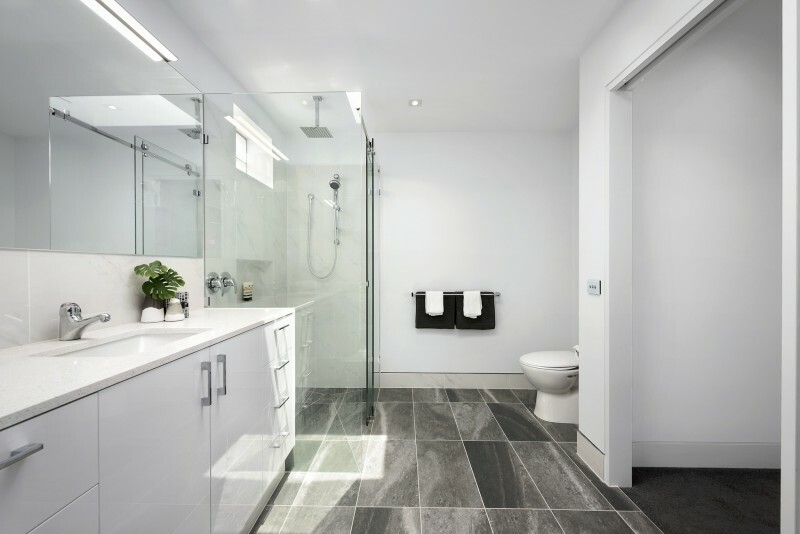 An elegant fourth bedroom or guest room with built-in robes is located on the entry level and serviced by a second lavish family bathroom and separate WC. 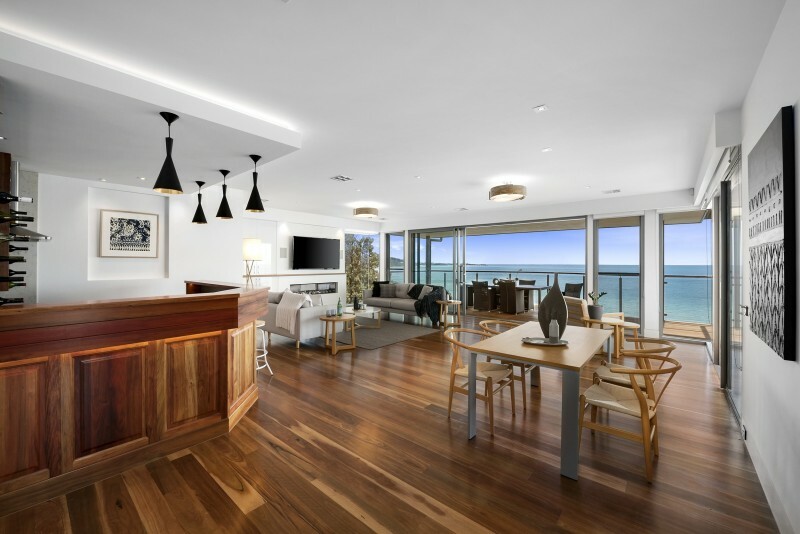 The upstairs level also features an awe-inspiring family come entertainment precinct offering a substantial 60sqm approx. 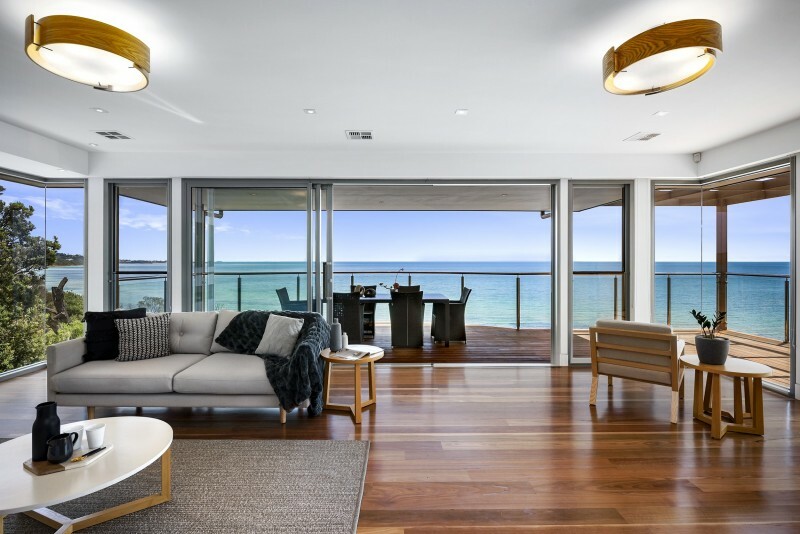 space with a dress circle outlook that must be seen to be believed, complemented by a cosy Infinity gas fire place, integrated speakers and custom built-in timber wet bar capturing some of the best views to be had! 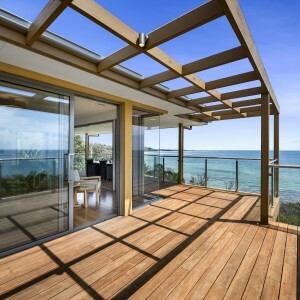 Expand this area by the interconnecting alfresco deck, part covered and part pergola, gently filtering the bright rays and coastal vistas abound. 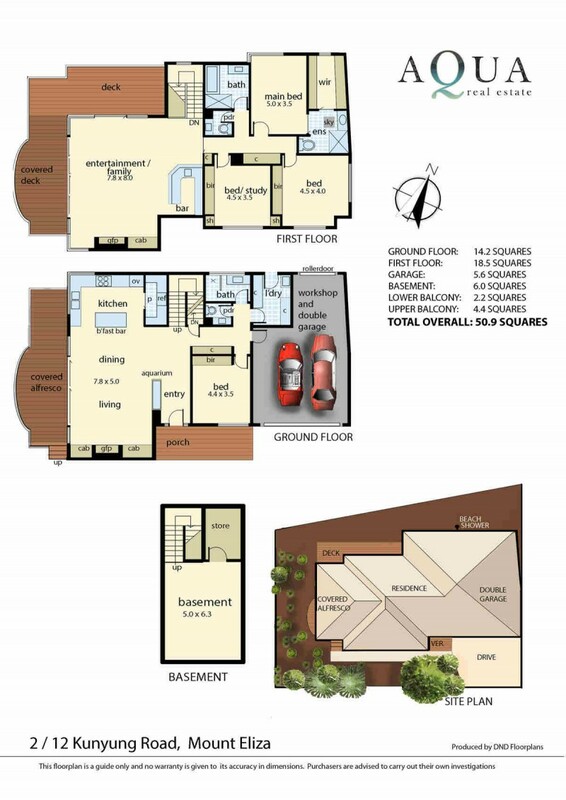 For additional living discover the basement level cleverly intended as a separate rumpus / home theatre including a sizeable store that could easily be converted into a first rate wine cellar. 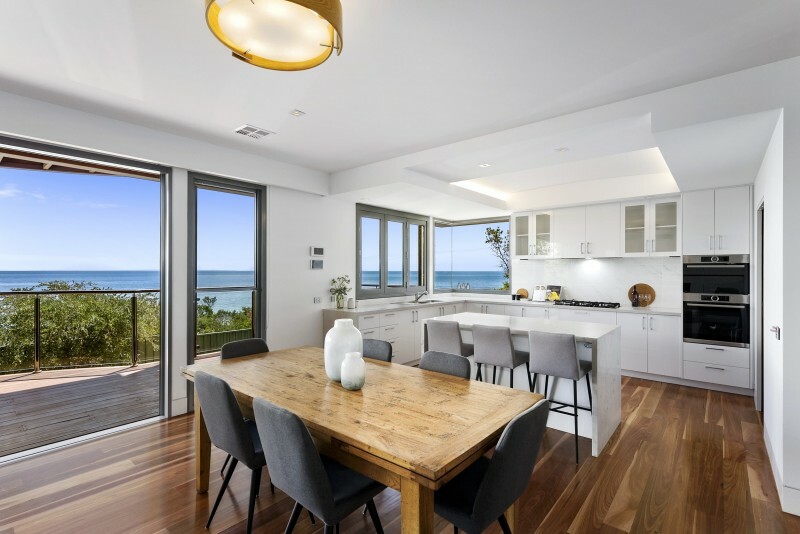 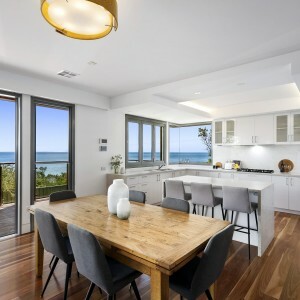 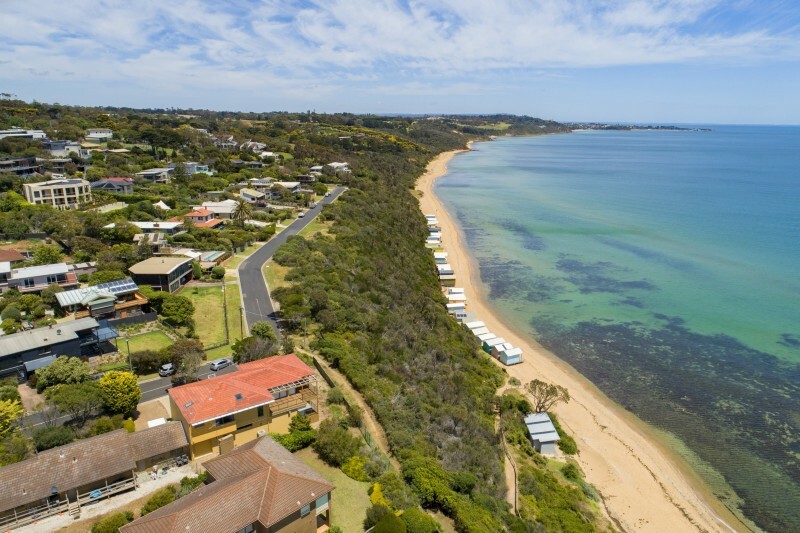 Enjoy incredible direct access to the beach via the foreshore track for a quick dip or easy stroll along the waters edge or the colourful beach boxes further along. 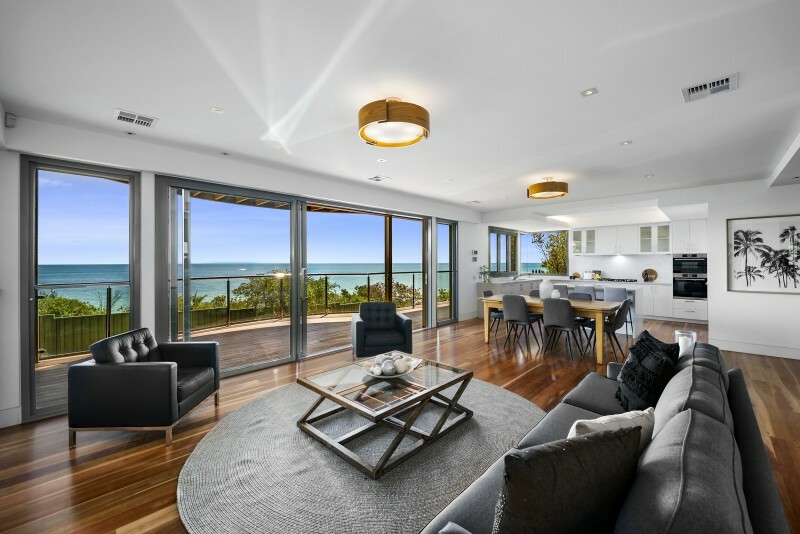 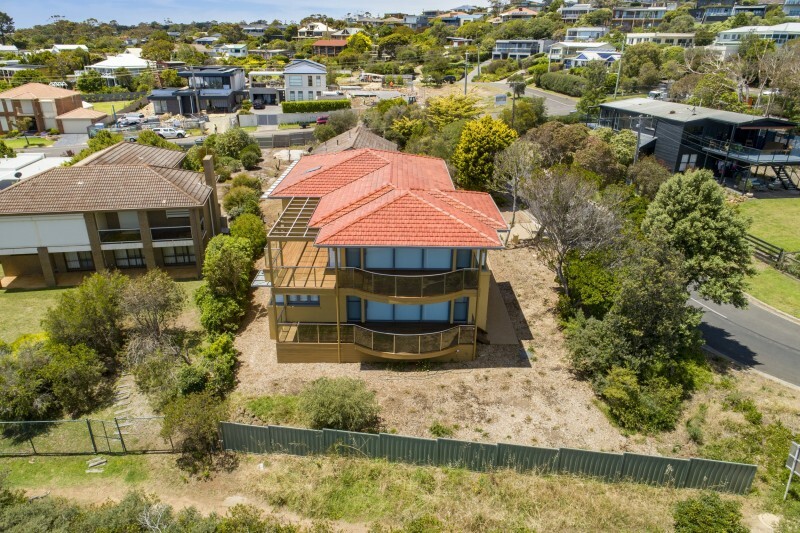 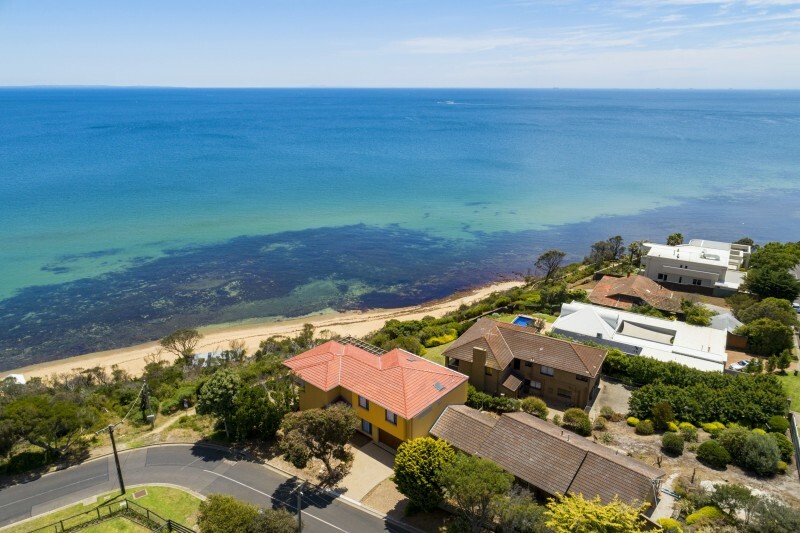 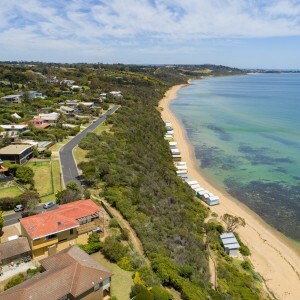 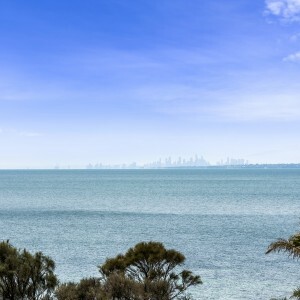 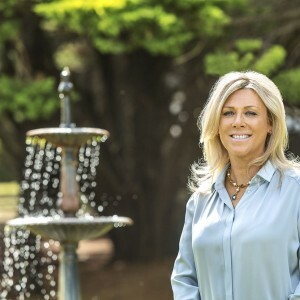 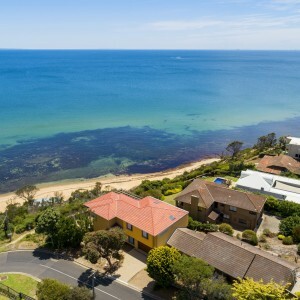 This unique beach front property promises a true Peninsula lifestyle in a tightly held locale only moments to excellent schools, the Ranelagh Club and the vibrancy of Mount Eliza village and its many amenities a short distance away. 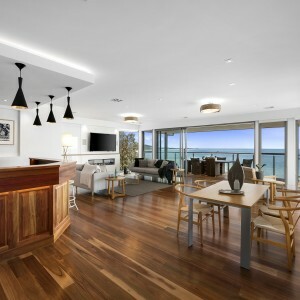 Further inclusions; Daikin inverter heating / cooling throughout, 2x Infinity has fire places, solar panel wired, double auto drive-thru garage, premium kitchen & bathrooms fit-out, incredible water views from most rooms, multiple living zones, smooth Rockcote render facade, vast alfresco decks with elevated views to match, direct access to beach, outdoor shower, Outrigger sun shades, wine cellar space, intercom, alarm, 3800 litres rainwater storage, low maintenance sea-scaped gardens and much more.. 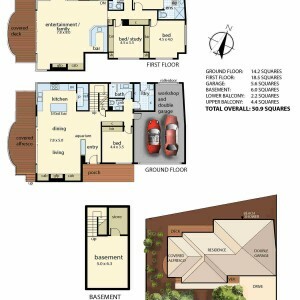 INSPECT NOW TO REALISE !